God inspires me and food is the vehicle for the inspiration. 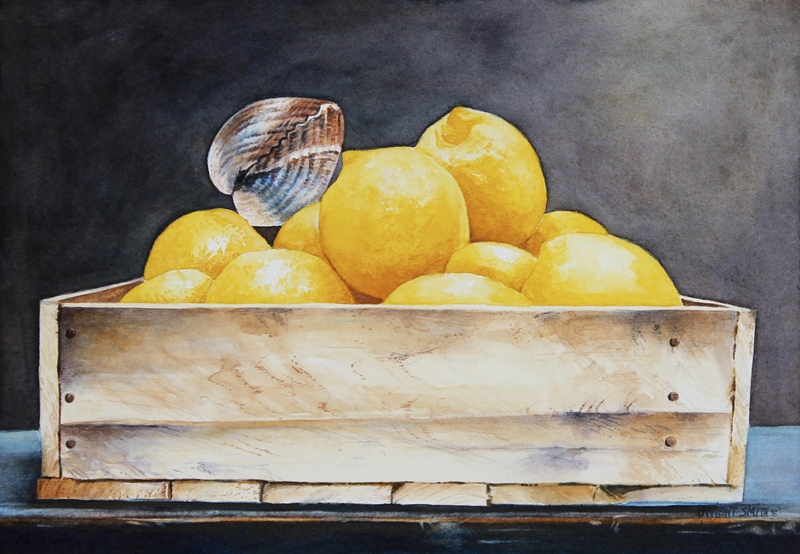 ” Clam Bed ” is a food themed still life watercolor. It is painted in the realist tradition and horizontal in format. It is my representation of a clam bed but only with lemons. The wooden box was made for me and you will see it often in my work. A colorful clam resting on yellow lemons. What is better than that. This original painting is on view and available at UGallery.com.